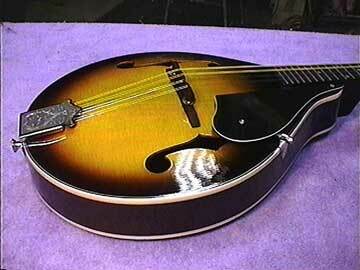 Lots of stringed instruments have various parts attached to them. 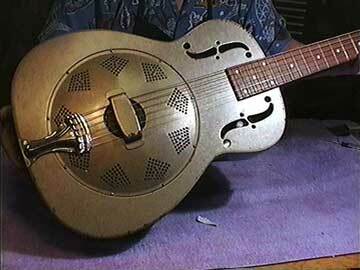 Play it with your finger on the fingerrest and it shuts up, only to buzz again when you lift your finger off. The cure is simple, just a little piece of resilient material under the support so that it can touch the top without rattling. 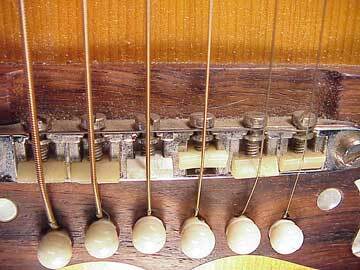 Almost any part attached to an instrument should be suspect. They all can buzz under the right circumstances. It pays to take some time, rapping with your knuckles all around to try to hear what part is buzzing, then go all over the instrument, checking each part for fit and tightness. Sometimes it can be a merry chase, depending on the instrument and the number of "parts." Holy moly, some of them have a lot of parts! 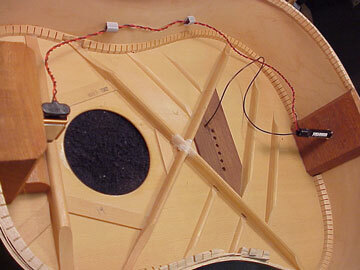 Onboard electronics are increasingly part of the acoustic guitar. 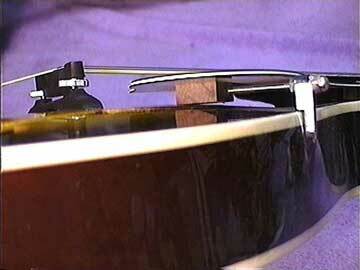 Adding a pickup means adding parts that can vibrate and make noises, especially if they become loose with age. That includes loose parts within parts, too. 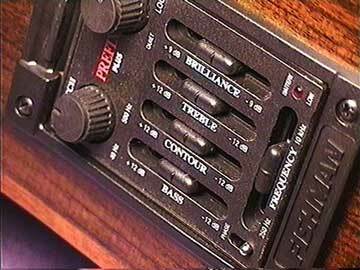 Volume and tone pots, along with preamps are among the items that might have pieces rattling around inside them. 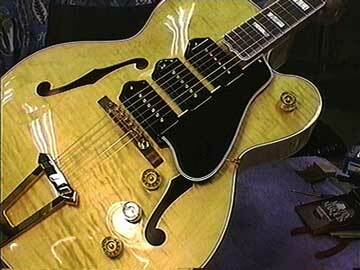 Seriously, the tailpiece is the most likely culprit, but there are potential buzzes all over some of these. Whatever the part, it either must be mounted more firmly, as with screws, or padded with resilient material, as with tailpieces that rattle against the body. Stripped mounting screws? Check out "Fixing Stripped Screws."